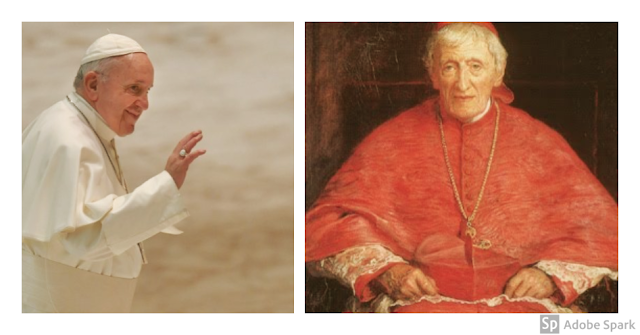 A miracle attributed to the intercession of Cardinal Newman has been recognized, clearing him for canonization. Born in London on 21 February 1801 and died in Edgbaston on 11 August 1890, the noted theologian and poet was first an Anglican priest and later a Catholic priest and cardinal, who was an important figure in the religious history of England of his time. He was one of the leading figures of the Oxford Movement that originated at Oxford University in 1833, that sought to link the Anglican Church more closely to the Roman Catholic Church. He is revered by both the Catholic as well as the Anglican Churches. As a Catholic priest, he founded the Oratory of St. Philip Neri in Edgbaston, England. Pope Benedict XVI beatified Cardinal Newman on 19 September 2010, in Birmingham, England. Pope Francis also recognized another miracle, clearing the way for the canonization of Indian nun, Blessed Mariam Thresia Chiramel Mankidiyan, the foundress of the Congregation of the Holy Family (CHF). The nun belonging to the Syro-Malabar Catholic Church was born in Puthenchira on 26 April 1876 and died in Kuzhikkattussery on 8 June 1926. She is known for her extraordinary charity, especially a preferential love for the poorest of the poor. She was declared venerable on 28 June 1999 and was beatified on 9 April 2000 by Pope St. John Paul II in Rome. - the heroic virtues of the Italian Servant of God John Baptist Zuaboni, a diocesan priest, founder of the Secular Institute Society of the Holy Family. He was born in Vestone on 24 January 1880 and died in Brescia (Italy) on 12 December 1939. - the heroic virtues of Spanish Servant of God Emanuele García Nieto, a Jesuit priest. He was born in Macotera (Spain) on April 5, 1894 and died in Comillas (Spain) on 13 April 1974. - the heroic virtues of Italian Servant of God Serafina Formai (born: Letizia), founder of the Missionary Sisters of the Good News. She was born in Casola Lunigiana (Italy) on 28 August 1876 and died in Pontremoli (Italy) on 1 June 1954. - the heroic virtues of Colombian Servant of God Maria Berenice Duque Hencker (born: Ana Julia), foundress of the Little Sisters of the Annunciation. She was born in Salamis (Colombia) on 14 August 1898 and died in Medellín (Colombia) on July 25, 1993.